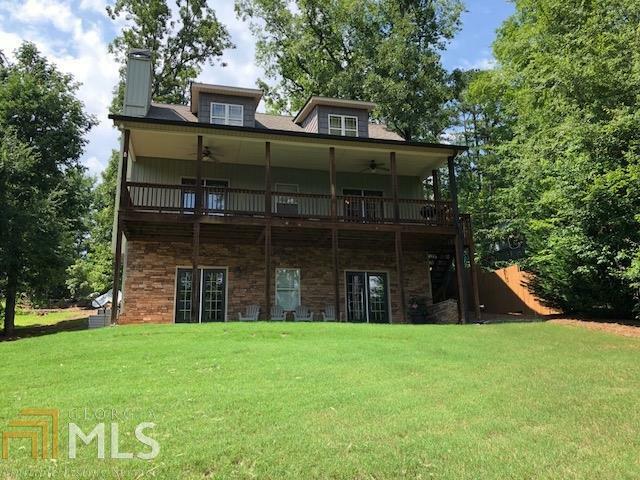 Wonderful way to begin your Lake Life. Open floor plan with Master on the main. Enjoy the morning coffee on the deck overlooking the water. Need room to grow? Basement area is stubbed and waiting for build out including terrace level for entertaining. This home is exceptionally well maintained! You will love the dock space in the peaceful setting for all your water activities. East Lake is a beautiful area of the lake with game nights and activities year round at the community center. RELAX...you are on Lake Time. Call for your appointment today! Directions: Lake Sinclair Drive To Acorn (Left), Right On Hickory Pass. Home Is On The Left, Look For The Sign.